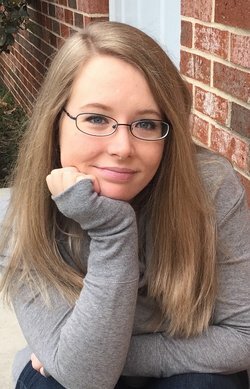 I am so excited to have Jamie Shaw, Author of Chaos, Book 3 of the Mayhem series. 1) Deodorant. Not for you—for them. Guys are gross, and after a few weeks on tour, they forget that everyone on the bus with them still needs to breathe. 2) Ear plugs. This one is important, especially if your bass guitarist just so happens to snore like a grizzly bear with two smaller grizzlies shoved up its nose. 3) Sweets. Trust me, you’re going to need the sugar. Just make sure to hide them where none of your bandmates will find them—like in a tampon box or in a makeup kit. 4) A change of clothes for every type of weather. It might be kind of chilly in Virginia, but it is not going to be kind of chilly in Florida. I learned this one the hard way a couple years ago. 5) Um… Protection. Your lead guitarist might be ridiculously hot… Just saying. “Kit,” Kale complains, and I stop walking. At the top of the stairs, I turn and face him. It’s not like I can’t understand why Kale is worried. He knew how much I liked Shawn before that party, and that night, he squeezed every last detail out of me. He knew I gave Shawn my virginity, so he knew why I cried myself to sleep for the next few weeks when Shawn never called. “Maybe he’s a different person now,” I reason, but Kale’s dark eyes remain skeptical as ever. “These boots are killer,” I say—which should be obvious, but apparently needs to be said. With a big sigh, he hugs me back. And then he lets me go. Born and raised in South Central Pennsylvania, Jamie Shaw earned her M.S. in Professional Writing before realizing that the creative side of writing was her calling. An incurable night-owl, she spends late hours crafting novels with relatable heroines and swoon-worthy leading men. She’s a loyal drinker of white mochas, a fierce defender of emo music, and a passionate enthusiast of all things romance. She loves interacting with readers and always aims to add new names to their book boyfriend lists. 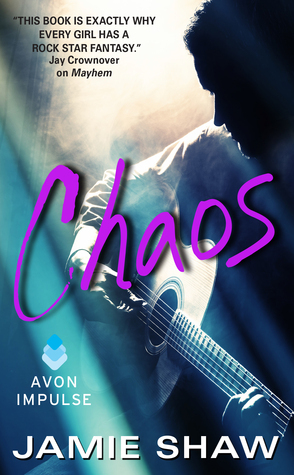 Posted on July 19, 2015, in ARC, Blog Tour, Giveaway and tagged Avon Impulse, Contemporary Romance, Giveaway, guest post, Jamie Shaw, Kit’s Packing Guide, Rocker Romance, Rockers, romance, tasty book tours. Bookmark the permalink. Leave a comment.